Hours may vary depending on staffing. Please call to confirm. 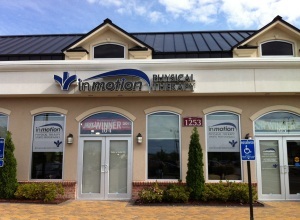 In Motion at Redmill, located at Red Mill Landing at the intersection of General Booth Boulevard and Nimmo Parkway, introduces a new state-of-the-art facility with physical therapy programs designed to help you reach your highest potential. Our expert team provides individualized attention and care, customized to meet your needs.